Signarama Piscataway - The Top-Rated Sign Company in NJ Since 1987! Signarama of Piscataway NJ is a full-service custom sign company providing clients across New Jersey and New York City with cutting-edge corporate signage solutions since 1987! 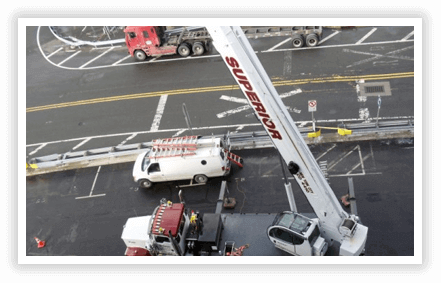 From business signs to car wraps and everything in between, if you’re looking for a professional and dependable sign shop that serves clients in NJ, or NYC, get in touch today to see how we can help your business stand out from the crowd. See what our business, can do for your business! 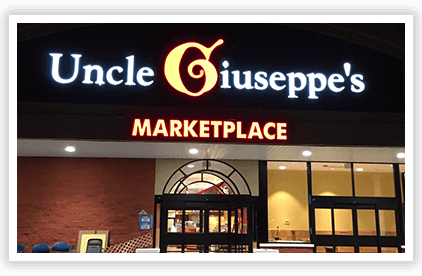 At Signarama of Piscataway, we have the skills, expertise, and custom business sign solutions to ensure your brand shines, and your business gets noticed. Request a quote today, or browse our website to see how we can take your business signage to the next level! Sign financing and leasing allows you to allocate funds for build-outs and working capital as the required down payment is minimal. Programs can be structured in a variety of term lengths each providing a tax write off. Whether your existing sign needs a bulb replacement, lighting conversion or full overhaul. Our sign service department has the knowledge and know-how to handle all of your sign repair and maintenance needs. 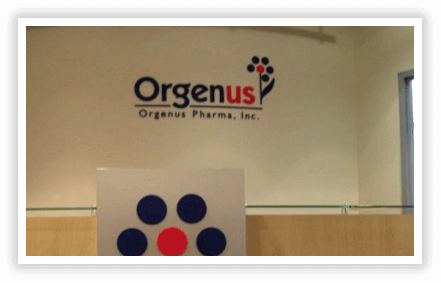 Looking for a complete overhaul of your current signage? Don’t panic, a signage rebrand doesn’t need to be stressful! Get in touch today with your specific requirements, and leave the hard stuff to us. We’ve got this! Our signs came out beautifully and customer service was very responsive with any concerns we had. Would absolutely use them again! I represent a not-for-profit organization that has been using Signarama for a number of projects. Their quality of work and price have not been matched by any other vendor that we have used previously. Ken and his staff have worked with us to produce high quality products that our event guests and sponsors have complimented. They provide what they promise and deliver what you ask for. This is the place to go for all your signage needs!! Lackland Associates/Lackland Self Storage has been using Sign*a*rama for years and we wouldn't think of going anywhere else. Not only is the workmanship unsurpassed, but their customer service is exceptional. Thank you everyone at Sign*a*rama for our brand new sign!!! Ordered over several years banners for my church. They were excellent and the service was top notched. The Library was extremely pleased with the service and product from Signorama and would definitely use them again for any type of signage. Great graphic and color quality every time, no flaws, everyone's always happy, thanks Signarama! I am never disappointed. You always give me a great product and a timely delivery. Sign A Rama in Piscataway has been handling all my signage needs for over 12 years. They are always helpful and answer all my questions. There has never been a problem with any of my orders. Good team and good customer service. They did the signs on my grooming van many years ago and it held up great in all the weather conditions. Am about to get my next panel done on my newer van. Good Business to deal with. Not only did Matthew and his team build a beautiful sign for me in a timely manner. Matthew actually led me through the permitting process for my store. I had no clue!He made my life so much easier because I was armed with good information. I will be eternally grateful and I would recommend Signarama to anyone needing the services they offer. Very professional, delivered high quality in rush mode at a competing price. Great service! Matt and his team are the best around. Top notch quality on everything they print, great customer service, good turnaround time, and fair pricing. I highly recommend them! It was refreshing to receive prompt, excellent, efficient service from Matt and his staff at Signarama. The job was executed with accuracy and it was, overall, a pleasant experience. I would definitely recommend their services. SIGN A RAMA of Piscataway NJ did an amazing job on a number of signs I ordered for my business. They were extremely professional and are always available to assist whenever we need them. Thank you to everyone SIGN A RAMA of Piscataway! I highly recommend you to everyone and can't wait for the next time I require your services. 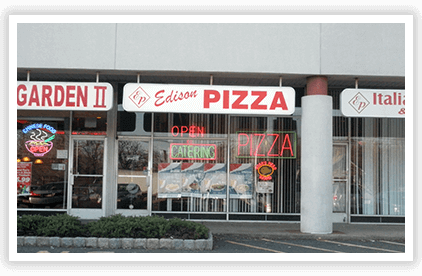 For over 30 years, Signarama of Piscataway has helped clients across New Jersey and New York City with their business and corporate signage needs. 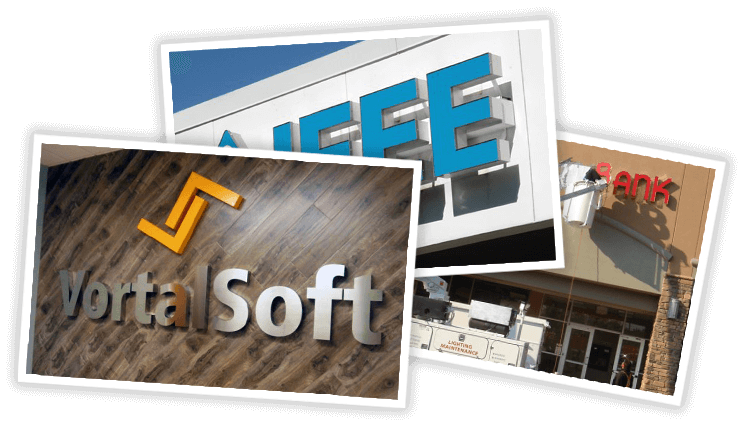 From site surveys and permit requirements, through to design, installation, and maintenance, we utilize current industry best practices and the latest technology to deliver high quality, impactful business signs. We also have our very own in-house repair and maintenance division that is equipped to handle all of your sign repair and maintenance needs. Whether you’re looking for storefront signage, interior business signs, car wraps, or banners, you’re in safe hands when you choose Signarama of Piscataway. Get in touch, or stop by our sign company showroom in Piscataway, NJ today to see how we can help your business make a great first impression! Turn your energy guzzling neon signage into a brighter, more energy efficient sign with our neon to LED conversion services. Transform your storefront and create a bright welcoming space and increase foot traffic with our storefront sign and graphic solutions. Just because it’s dark, doesn’t mean you have to stop advertising your business! Ask us about our illuminated signage today! Advertise your business on the move and make your vehicle pop with our custom car wraps and vehicle graphics solutions. Get in touch today! Keep your signage shining bright and in working order. 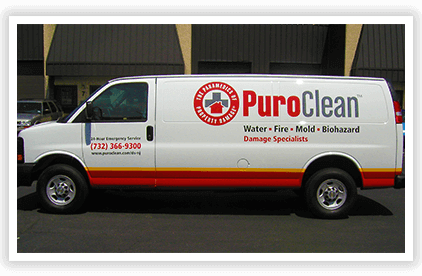 Our repair and maintenance division is equipped to handle any job! How can our New Jersey sign company help your business? Whether you’re shopping for a business sign, car wrap or vinyl banner, the costs associated with business signs can start to add up. So how do you choose who to trust with your sign advertising budget? With a myriad of sign companies in NJ and sign companies in New York City to choose from, figuring out which one will provide you with quality signage that will meet your business needs and your budget can sometimes feel like a daunting task. Do you choose the cheapest sign company? The sign maker with the shortest lead time? Or maybe the one that’s closest when you’re searching for a sign company near me? Well, worry no more! With decades of custom sign making experience and hundreds of satisfied customers, let’s just say we know a thing or two when it comes signage. Looking for the best sign company in New Jersey? You’ve found it! At Signarama Piscataway NJ, we’ve been helping clients across New Jersey and New York with their signage needs for over thirty years. Helping businesses maximize their budget, and delivering top-quality signs is what we do best. In fact, we make it our mission! As a full-service sign shop, there’s no sign project that we can’t handle. 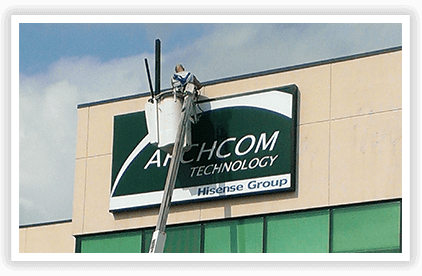 From a simple yard sign or sidewalk sign to advertise your business, a complete signage rebranding project, or a building sign installed on a high-rise building, we can do it all! Need help designing your sign? Our professional graphic design team can take your idea and turn it into a reality! Unsure if you need a sign permit or perhaps you require help with making sure your business sign adheres to any building codes or zoning laws? We have a licensed sign engineer on retainer for precisely that purpose! Are you looking to maximize your budget to ensure your business gets the signage it deserves? Our sign financing and leasing solutions were created to help you do just that! We’re your full-service NJ sign company! From initial consultation, through to design, fabrication, and installation. We will help you navigate the entire sign buying process from start to finish. We’re your one-stop sign shop and provide a wide array of custom signage products and services including custom business signs, architectural signs, signboards, banner printing, business signs, office signage, channel letter signs, illuminated signs, digital signs, dimensional signs, directory signs, indoor signs, outdoor signs, menu boards, monument signs, promotional products and trade show swag, trade show displays, real estate signs, storefront signs, shopfront signs, car wraps, vinyl letters, custom wall graphics, sign installation, sign design, graphic design, neon signs, LED signs conversions, sign surveys, sign permits, screen printing and more. And with our exclusive Signancing sign financing solution, we can help you get the signs your business deserves at an affordable price. So if you’ve been looking for a sign company in New Jersey or a sign company in NYC, contact Signarama of Piscataway today, and together we will make sure your next signage project is a complete success and exceeds your expectations. Drop your details below and one of our sign specialists will contact you shortly!